Sign Language opens Thursday night! 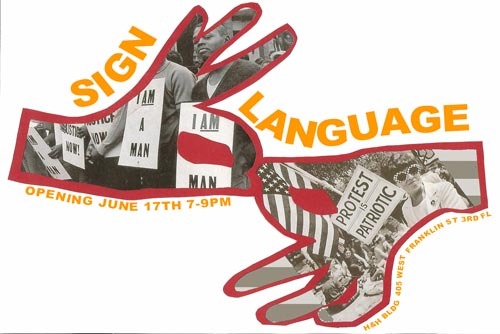 I have piece in the Sign Language show opening Thursday night at the Whole Gallery. My project consists of flags from a previous project, Distribution Pit Liberation, that I installed in Bushwick in June of 2008. This latest project is a reiteration of two of the original flags from the distribution pit site, now entitled, Distribution Pit Liberation Non-Site.